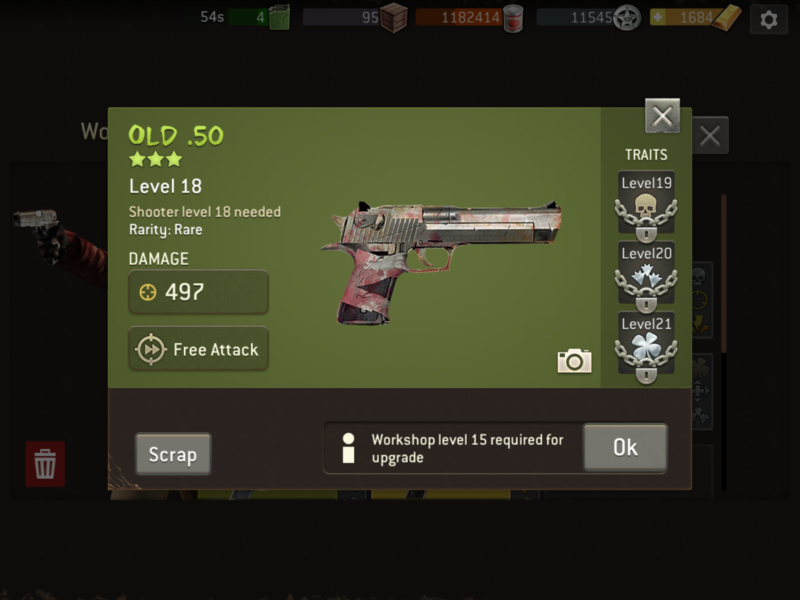 How do I get Level 18 Survivors? I want to use some of this gear I got this week. You wait until council updates, update training grounds, and grind out silver stars to train. Unless you were one of the lucky few that beat missions on 'hard' and 'nightmare' that gifted you with a 18 player. Until then, save the weapons. I've searched but not found no answer to this on the forum so here goes... I see pics here of level 17 survivors with level 20 gear. How does this work? 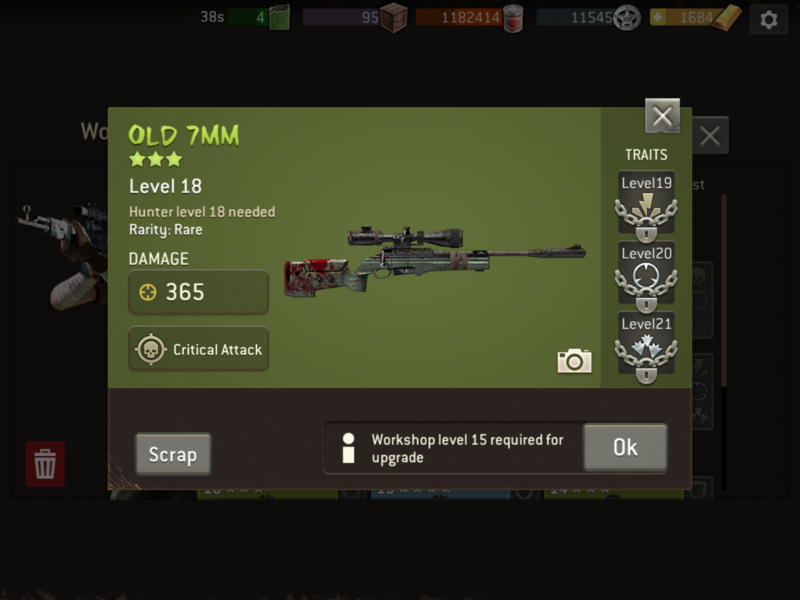 The base lvl of the items is 17 with 3 upgrades to lvl20. 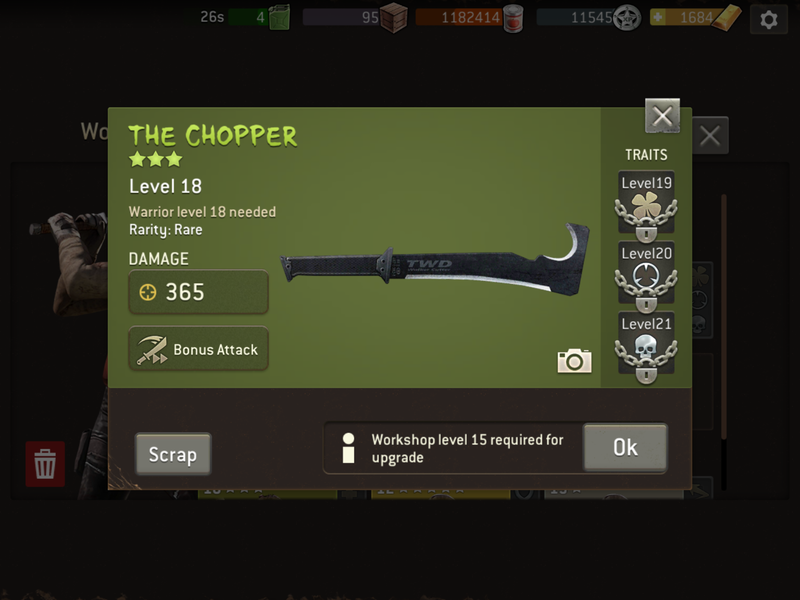 Maxed workshop is able to upgrade lvl17 items. 90% of the gear now dropping for me requires a level 18 survivor. I'm dumping anything less than Epic figuring that more is coming and I can be selective on my traits. Me and my almost 9 million supplies are ready for a new Council right now.